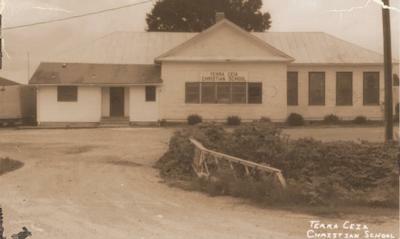 On March 3, 1937, couples organized themselves to form “Terra Ceia Christian Society for Christian Education”. With an unwavering faith in God, they committed themselves to building a school. In founding Terra Ceia Christian School, they began the legacy of Christian education in our area. Today Terra Ceia Christian School Society remains faithful to that commitment. Our purpose is to manifest, especially in the lives of our students, the realities of being a follower of Christ. At its best, Christianity must influence all aspects of life, especially nurturing us in the love of the Lord during the formative years of our youth. Terra Ceia Christian School provides a coeducation, liberal arts, college preparatory edcuation with the Christian perspective for students in grades Pre-K through 12. Our success is not a result of protest nor a desire to provide an alternative for parents disenchanted with public education. Rather, the traditions of Terra Ceia Christian School affirm parent, not the state, as responsible for directing their children’s education.